Pakistan Auto Policy is still pending, and concerned parties are pressing the government to come up with the policy as soon as possible. Federal Minister Jatoi has affirmed that the policy will be announced soon, but there is still no news about the expected policy. The Minister argued the delay was because of the fine-tuning of the policy. It’s been three years since the policy has been pending and according to the last report, its final draft has been approved. The policy has not only been tangled in red tape but also, there is some serious lobbying going on by existing and potential automakers to make the policy in their favor. Latest body to urge the government to launch the auto policy immediately is the Rawalpindi Chamber of Commerce and Industry (RCCI). RCCI President Mian Humayun Parvez has asked the government to the cut whatever delays are there and implement the new policy as soon as possible. He accepted the fact that the auto sales have been on a new high, but he claimed the lack of policy is hurting the local manufacturers as well. He argued that the new policy will give a clear signal to not only existing automakers and vendors to invest more in the sector, but it will also encourage new investments. He further said the new policy can ensure the well being of the SME sector attached to the auto sector. Furthermore, the existing automakers have staunchly condemned the imports of used cars, especially from Japan. They believe the imports are hurting the local auto assemblers and vendors. 57,000 cars were imported in 2011-12 after age limit was relaxed from 3 to 5 years; an all time high. One thing is for sure; it will be impossible to make every party happy with the new policy. There are too many stakeholders, and one or two of them will get the short end of the stick. But at least, the new policy will give concrete guidelines for potential parties. take out suzuki, give them a lesson for selling us those pre historic cars even in 2016. I couldn’t afford an audi a3, but i bought it just to keep audi in my country. I know 1 car dont make a difference but I dont want these companies to leave pakistan .. I did the same with Yamaha YBR.. bought it for no reason. well said about pathetic suzuki. if u have too much money i suggest u gift one Audi to Mr Baber Khan of Pakwheels…….he loves cars and deserves an awesome gift……..
You know in India there is culture of showing better than what it really is. Pakistanis have different cultural values and consider it as deception. If you see TV dramas of India then 650 crores loss can happen in a second and nobody even breaks a sweat. Yet in reality India is still developing and many people don’t even have slippers to wear. Many people don’t even have toilet and it is a national crisis of India that even people who have toilet do not want to use it and would rather poop on the streets. Therefore if you are getting deceived by what Indian TV advertisements are showing, then you should learn to perform critical analysis rather than promoting ethnic divide. To start off, I would say that I am staunch nationalist with right-wing leaning tendencies and still have nothing against people of other religions… So, not everything you see on your TV is true. Avoid that dude that was the most idiotic and stupid comment I have ever read.. In 2013-2014 when I was heading the Engineering Development Board(EDB) under the Ministry of Industries, we had immediately taken the step to curtain imports of used vehicles aged above three years and for trucks above 5 years.Also strong recommendations were sent to the concerned Ministries to stop the gross misuse of the facility afforded by GOP to overseas Pakistanis relating to bringing in one car at concessionary tariff as per the prevailing policy which was hijacked by the car dealers to their advantage. No need to further dilate on it as we all know this lobby fairly well. We had formulated the New Entrant Policy way back in 2013-14 where both the existing OEMs as well as the New Entrants had been afforded the incentives to invest and grow. The tariff structures on parts and components were rationalized to avoid misuse of the concessionary tariff by existing OEMs and emphasize on localization of higher valued added parts and components with transfer of technology from their principals and this would also have enabled the vendors to invest in their plant & equipment and also lead to manufacture of most of the parts and components in the country leading to significant lowering in the cost of the parts. The model that was presented was that of the two-wheeler’s where Honda invested significantly on their plant, equipment and localization with the result they were able to restrict their cost and maintain their competitive edge over the other manufacturers and have remained as the market leader. Likewise, we should encourage the existing OEMs to invest in their plant and equipment, transfer technology for local manufacture of parts and components both for the assembled vehicles as well as for the after market and exports of standardized parts and components. 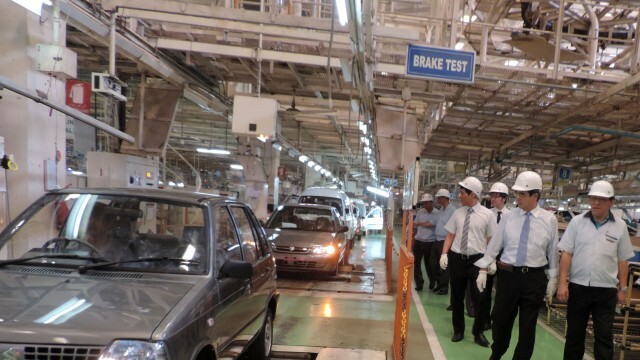 The new auto-policy also had focused on standardization and safety aspects which none of the OEMs have shared with the Pakistan Institute of Standards and Quality- Why? 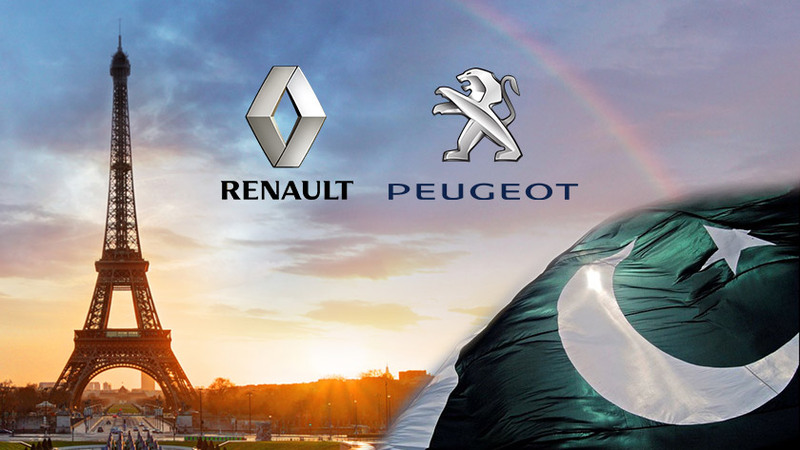 The vehicles being assembled in Pakistan are mostly Pakistani market specific and not of export quality besides the Principals do not permit them to export as it has its own strategic business interests for the region and there India has been made their strategic satellite .One of the OEMs wanted to import the engine plant from India where that plant had closed down and the request was made that they be allowed to import the assembled engine from India instead of transferring that plant to Pakistan which they say that it was Euro II compliant. Obviously they did not get the blanket permission to do that instead they were offered facilitation to get the engine plant relocated here at Royalty be paid to that Indian company. The best example of good and consistent policy has been the rationalization of the age of the vehicles that had enabled the OEMs to do much better and possibly even better particularly the heavy vehicle sector when the CPEC gets fully implemented. New Entrants must be allowed incentives to come to Pakistan and the existing OEMs must consider improving their plant and equipment through induction of better technology and automation and localization of higher value added parts and components, mainly, engine, transmission, electrical and electronic items. Sir thank you for your nice manner. There is a stark difference in how Indian media portrays India (at least the channels available internationally, many channels are not available in Pakistan as PEMRA controls the cable broadcast) and how Pakistani media portrays Pakistan. India media generally glorifies India and this shows they are patriotic. If they have something to improve, why wash their dirty linen in the public, is their attitude. Whereas Pakistani media is always lamenting, this is also patriotic because Pakistanis are perfectionist and want everything to be best, which can never happen, because there is always room for improvement. Somehow in your comment there is the assumption that the people you are addressing belong to other religions, not same as yours. Your comment indicates that you think Pakistani TV portrays India in a manner which somehow paints India in some very bad light. In reality this is not the case. In Pakistani media, like the news, talk shows or even TV dramas, India is rarely discussed. Whenever India is discussed, it is not about some social problems within India, rather it is about some border violation, some new developments in foreign policy or Kashmir issue, visit of some foreign dignitary like Indian president or foreign minister as such. In that, the guests usually discuss what turns could Pak-India relation take in the future. I would again want to tell you that Pakistani media does not portray India in a bad light, rather they give little airtime or print presence to India. There are so many local news because the nation has been in a state of war since 15 years now, and also Pakistan has problems going all-around, specially Afghanistan region, so most of the time people are thinking what intervention would be done now to bring peace in Afg. On the other hand Pakistan has strong diplomacy, such as when war broke out in Yemen, UAE immediately asked Pakistan for help (Why?). Then China decided to facilitate talks between USA and Taliban, hosted in Qatar, Pakistan provided the diplomacy, then there occurred a conflict between Saudia and Iran, so now Pakistan is busy helping the patch up between the two. So, there is lots of international news too, but very little regarding India, and if there is, mostly it is related to some high visit or some cross border firing. 7% Pakistanis belong to the mohajir diaspora. These people still have families divided by the border. Some families are split between India, Pakistan, Bangladesh and Singapore. Some are further split till Malaysia. Getting Indian visa on Pakistani passport comes with a lot of problems not only for the Pakistani visitors but for their Indian hosts also. And yes there is a large number of Pakistanis who have either visited India personally or their immediate family member has, therefore people have first hand and recent news from trustworthy sources. Indian people on Indian passport visit their Pakistani relatives too, and thus there are Indian people who have seen both places, and there are Pakistani people who have seen both places, so they can compare. Honda has recently upgraded their plant to increase the number of pieces manufactured of the same old junk they have been producing all along with no improvements to fuel economy, road grip, other safety measures such as ABS. From what we understand, you meant that your suggestions were implemented and the result of that implementation was the increased capacity of that Honda motorcycle plant. While we do sympathize that whatever you could have done in the slow-mo government system must have taken too much effort for too little result, it should still be noted that it was practically worthless and resulted in even more of the same old pathetic junk. Or if we’re getting it wrong and you meant to write “would have been able to” instead of were able to in above quote? Isn’t it another way to put that the vehicle being assembled are so outdated, obsolete and poor quality that nobody else would accept but Pakistanis are forced to live with them? Please elaborate. Past perfect tense with future indefinite in the same sentence, does not make it easy to understand. Are body parts not high value? Or this is another play to keep Pakistanis buying cars that cannot be repaired and would go off the road after minor rusting? Because the mechanicals would be OK and available but yeah no car can run without the floorpans. What about localization? What about local brands? Chinese do it all the time, force the technology transfer, make their own brand, change it enough so as to avoid breaching the contract, and sell it as their own. Why not us? Personally I think India and Pakistan are two developing countries with very similar problems and if they work in collaboration with each other they can really speed up their development.. I endorse the above statement, although I also own Mehran but unfortunately we have no other choice. Govt. is sleeping and earning a huge amount of commissions from the all three monopolists. Shame on you the sleeping govt. Exactly! Only we know about each other than anybody else! how’s that audi coming along ? The Economic Coordination Committee (ECC) of the Cabinet on Friday, 19 March, 2016 approved Automotive Development Policy 2016-21 that offers incentives to new manufacturers through lower tax rates to bring vehicle prices down through competition with existing players. Board of Investment Chairman Miftah Ismail told Dawn after the meeting that basic policy objective was to bring in new brands and revive some closed units to generate healthy competition in the market, leading to reduction in prices and improvement in quality standards. The policy defined new entrants as carmakers whose models are not produced in Pakistan at present and would set up greenfield projects, he said. This would mean that Honda, Toyota and Suzuki would not be offered incentive facility which the government would provide to new players like Fiat, Volkswagen, Renault and Nissan. Mr Ismail said new entrants would be allowed import of plants not produced locally at 10 per cent duty and 25pc duty on localised plants for five years. These rates would remain unchanged for five years. Simultaneously, a brownfield category has been created for plants like Ghandhara-Nissan and some others which are currently lying closed for various reasons. The incentive package for new entrants would be available to this category for three years to facilitate their revival as economic activity picks up pace. For existing carmakers, the duties would also be rationalised. In doing so, the import tariff would be reduced from 32pc to 30pc for non-localised plants and from 50pc to 45pc for localised plants. The policy also promised reduction in duties by 10pc for all cars up to 1,800cc engine capacity over the next two fiscal years i.e. 2017-18 and 2018-19. This would mean the import tariffs on 800-1,200cc cars would be brought down from 55pc to 45pc and so on. However, there would be no change in these rates in the coming budget. The import regime for used cars was kept unchanged because this fell in the jurisdiction of parliament, the BoI chairman said. The import tariff on completely knocked down (CKD) units would also be reduced to 30pc from existing rate of 32.5pc for non-localised parts and from 50pc to 45pc on localised parts, he added. Also, the new policy set a uniform 10pc rate of duties on components and sub-components by merging the two in one category because 5pc duty on components and 10pc on sub-components led to mis-declaration in the past. He said the new policy would facilitate higher volumes, better investment, enhanced competition and better quality with latest technology. It creates a balance between industrial growth and tariffs to ensure sustainability for all stakeholders and encourage consumer welfare. one of the most amazing car ever..